Italian firearm manufacturer Chiappa is producing replicas of the Winchester model 1887 shotgun in a few models. One of which is the T-Series made popular from the second Terminator movie. The Shotgun come with the pistol grip (designed to have the look of a sawn off stock) and a 18.5” barrel like in the movie. The shotgun comes in a matte black synthetic furniture (stock and rubber coating pistol grip) (shown in the pictures). It is unclear at this time as to if they will be releasing the firearm in the original wood finish. Manufactured by RCI (Roth Concept Innovations), XRAIL is a magazine extender which can be easily mounted to an impressive variety of manufacturers and models of shotguns. The XRAIL system is essentially four extension magazine tubes which automatically rotate from one tube to the next as they are emptied, extending a typical magazine tube by up to 22+1 rounds. There are currently two sizes in production. The Full Version XRAIL, and the Compact XRAIL, with the Compact holding up to 14+1 rounds. The prospect of storing more ammunition in a single, relatively compact, loading tube is amazing. For competition shooters, the XRAIL could be a great addition to shave off seconds from timed runs by decreasing the frequency of reloads, but for any other purpose I feel like the weight of the rounds so far towards the front of the firearm would increase the fatigue on the user past the point of being terribly practical. The Full Version XRAIL weighs in at only 2.5 oz. empty, but the addition of four loaded magazine tubes would shift a considerable amount of the firearms weight to the front of the barrel making it just that much more unbalanced or taking that extra second to shoulder. As far as hitting a range goes, I would absolutely love to get my hands on an XRAIL system. When it comes to the practical application for home defense situations, or survival situations I think I will stick with the more standard 5+1 for now. Oh. And just so you know how much I would love a day at the range with one of these bad boys, here is a little video I found. We posted this name that gun last Monday with the plan of writing about it on Friday but the plans fell through so we are posting it this week. The MKA 1919 design is based off of the AR-15 platform and has some similar features to the AR like the mag release and safety. The shotguns “lower receiver” is one solid piece of impact-resistant polymer making the weapon light weight. The downside to the solid lower means the shooter cannot change the handgrip and shoulder stock. The charging handle is similar to other semi-auto shotguns and the AK-47 in that it has it protruding off the side of the bolt group on the right side of the receiver. Be PREPARED – supply yourself for the Zombie Apocalypse with Zombie Max™ ammunition from Hornady®! 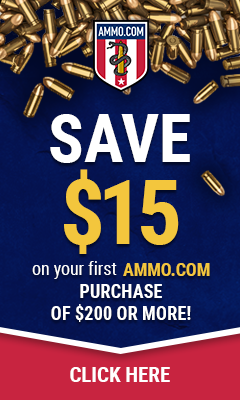 Loaded with PROVEN Z-Max™ bullets… yes PROVEN Z-Max™ bullets (have you seen a Zombie?). Make sure your “bug out bag” is ready with nothing but the best! WARNING: THIS IS LIVE AMMUNITION. THIS IS NOT A TOY. Disclaimer: Hornady® Zombie Max™ ammunition is NOT a toy (IT IS LIVE AMMUNITION), but is intended only to be used on…ZOMBIES, also known as the living dead, undead, etc. No human being, plant, animal, vegetable or mineral should ever be shot with Hornady® Zombie Max™ ammunition. Again, we repeat, Hornady® Zombie Max™ ammunition is for use on ZOMBIES ONLY, and that’s not a nickname, phrase or cute way of referring to anybody, place or thing. When we say Zombies, we mean…ZOMBIES! 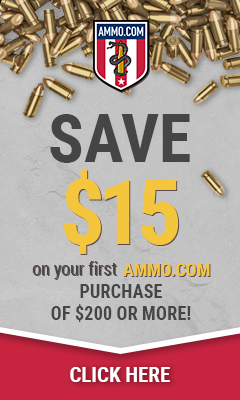 You can check out the zombie ammo on Hornady’s website HERE. Tuesday we had a video of this flare launcher in action which sparked some interest. Spike’s Tactical offers the 2 models on their site along with 12 gauge flare adapters and 26.5mm adapters that fit the models. We contacted Spike’s Tactical to find out if the 12 gauge adapter would work with other types of rounds such as the Dragons Breath which is a flame thrower round and can shoot fire out to 100+ feet. The launcher simply requires sliding the launcher onto the bottom rail of the hand guard on an AR-platform and tightening two set screws on the launcher. Check with state and local laws before buying this but the launcher may be shipped direct to most areas in the US. two side saddles for quick reloading (and a total shotgun carrying capacity of 19 — the shotgun itself holds 7+1) containing cartridges with bird shot, 00 buck shot, slugs and signal flares.